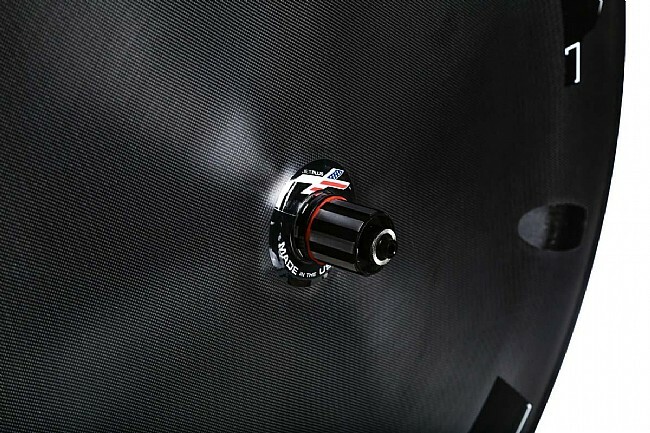 HED's Jet Disc Plus Black Clincher takes their proven lenticular carbon skin shape laid over a traditional spoked alloy wheel to create a seconds-shaving time-trial option that still rides like a normal wheel. The alloy rim uses HED's exclusive Turbine Braking Technology to significantly shorten braking distances. The blacked out look is the result of a specially machined and anodized directional brake track that makes for 25% shorter stops in the dry and 70% shorter stops in the wet. 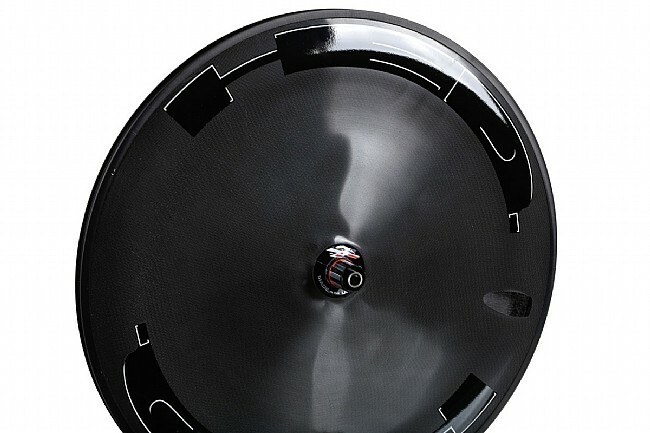 The 25 mm wide rim has a 20.7 mm inner width to optimize traction, comfort, and aero advantages, and beneath the carbon shell, 24 Sapim spokes are laced to a HED Sonic Hub. Titanium skewer, rim tape, and valve extender are included. Claimed weight is 1,210 g.